Son of the Sioux and nephew of Crazy Horse, Red Fox was a leading spokesman for the Indian legacy. In his long life (1870-1976) he heard the guns at Custer’s last stand, was only twenty years old when news was brought of the massacre at Wounded Knee, and survived to see the newsreels of the Vietnam tragedy. This book is based on notes he made late in life of what he had witnessed and is fleshed d out into a very readable account by Chas Asher, of whom I know nothing except he was a news reporter and published some books in the 1930s. 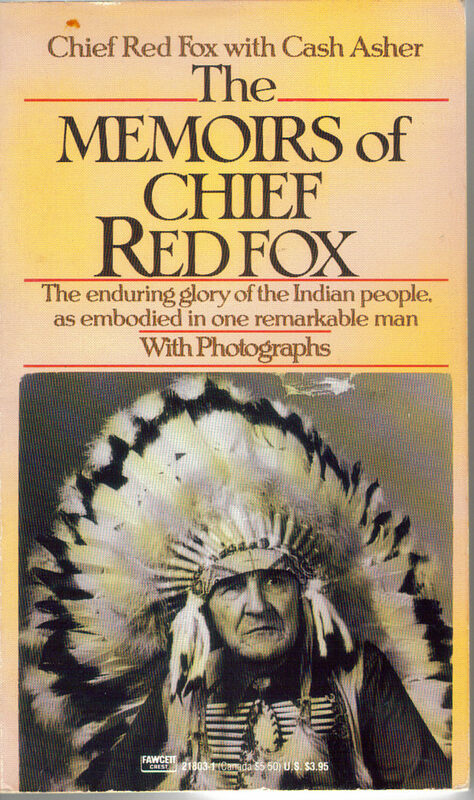 This book was first published in 1972, though in his introduction Asher says that he first met the Chief in 1969 and began to talk with him then about his long life and experiences. Any account of the fortunes of the Native American indigenous peoples over the last two centuries is heartbreaking. Red Fox takes us through some of the atrocities perpetrated on them by the beneficiaries of ‘manifest destiny’ and attempts to detail them in a factual, non-emotive way, though this of course is not always possible, given the horrors he has to recount. The Native American journey (or rather, ‘forced march’) from being proud nations to being outcasts in their own lands is well told in a wonderfully brief and to-the-point little book (152 pages!). 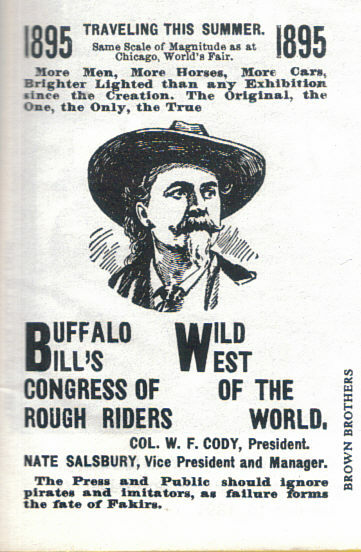 Besides being an important figure with his own people, Red Fox also became something of a personage among the whites through his involvement with Buffalo Bill’s Wild West Show. He got on well with Bill, who understood Indian ways and, whatever about using them for profit, treated them well enough and gave them some much-needed employment. Interestingly, the show did a tour of Ireland around 1905, doing performances Dublin, Cork and Galway. But he made the best of the situation. What else he could he do? He wasn’t a man to sit and mope in his teepee. In fact he comes across as a pragmatist. He knew the game was up as regards the Native American battle to save their lands. At the same time, he comes across as a man who never lost his sense of his own worth, nor of his people’s worth. Anyone with an interest in the history of the North American native peoples should read this book.